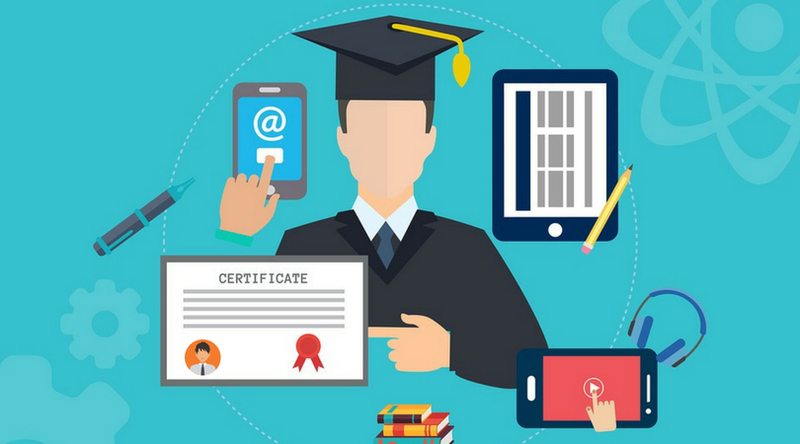 How has Online Education Evolved - Things to Know about Online Education? How has Online Education Evolved – Things to Know about Online Education? Education has been changing and has become better as time passed by with introduction of new trends. In the beginning, education was just passing of general information and knowledge orally generations after generations and the eldest person was considered as a living library wherein if anyone had any doubt they would ask that person for their words of wisdom. After that, came the concept of schools where a person with more knowledge about any particular field would teach the children and share the knowledge in that area. Soon these schools started storing information in the form of written data which in turn led to the invention of books. As time passed by, schools became bigger and started using infrastructure and modernized ways of education, that is when Online Education came into existence. 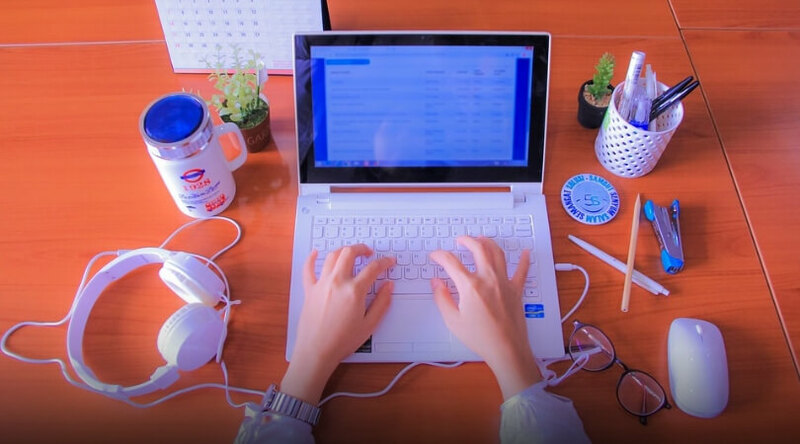 Now with the use of the internet, one can choose the best course offered in a specific region like Georgia just by typing best online colleges in Georgia in any search engine and can get all the required information regarding any online course. Online education is a form of education which is delivered and administered using the internet. Online education can be divided into various categories depending on the extent of online education incorporated into the course ranging from the face-to-face interaction between a student and an instructor to exclusive online courses to blended learning which incorporates both an online course as well as face-to-face guidance. Online education includes digital notes, e-books, teaching slides, video lecture and conference, online tests etc. It is more affordable compared to offline education. It is convenient and flexible. There is no geographical and time barrier. Data is upgraded regularly thereby students can have access to the latest data. Technological skills are improved automatically and this would act as an added advantage in the future. Personalized attention and teaching would be missing as there is no permanent teacher who would be always present to give guidance. Students with fewer resources lack proper education. Online courses require more time than on-campus classes. How Online Education is More Affordable? For many colleges that solely specialize in offering online degrees, they have fewer expenses to incur. They usually do not have vast areas of land, property, and buildings to manage. They do not have to pay thousands of support staff and personnel every month. Also, students do not have costs associated with commuting to a college campus. Even though Online Education is cheaper, students can reduce the cost even more by availing various scholarships like Golden Apple Scholars of Illinois, UNICAF MBA Scholarships, Penn State World Campus Scholarships, left handed Scholarships, etc. Left-handed Scholarships are scholarships offered to left-handed people to encourage them for their Uniqueness. Some of the Left-handed scholarships are Frederick and Mary F Buckley Scholarship, AAST Medical Student Scholarships, Constitutional Officers’ Association of Georgia (COAG) Scholarship, MRCA Foundation Left Handed Scholarship Award etc. Since Online Education is still under developing stage and is improving day by day with more number of students taking up courses online, many colleges have started offering courses online across various disciplines. Also, since it is cheaper than traditional college courses, it is convenient for students to learn a course from wherever it is comfortable. These are some of the reasons that have made the online education a great success. Guest posting is something that a lot of website owners rely on for building backlinks to their sites. This is a search engine optimization strategy that has been proven to be effective if used right. This is a practice in which a website (or blog) owner publishes posts on other blogs. In exchange for these, the receiving blogs make mention of the poster and link back to the poster’s website. This is a win –win situation for both parties as the receiving blogs get quality content on their sites while the poster gets link backs to their own site. This is probably the most popular benefit that people reap from guest posting. Search engines judge the authority of your site by looking at the number of websites that point back to it. If a lot of websites are pointing back to yours, search engines assume that your site must be an authority on the subject for all these other sites to be linking back to yours. 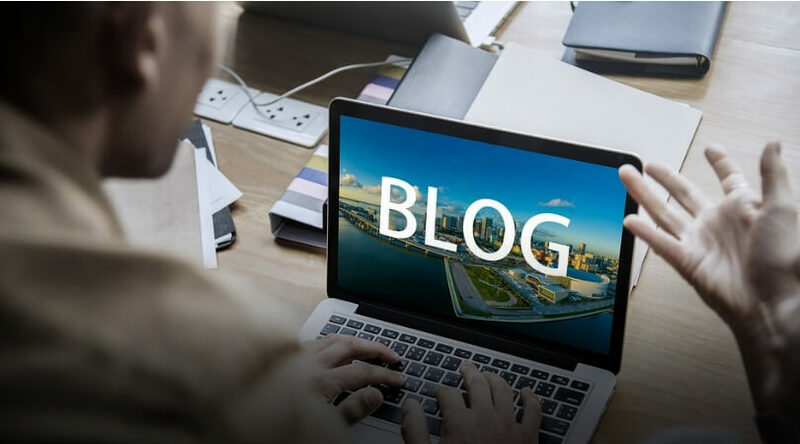 If you have a lot of guest posts out there with links pointing back to your site, you will be building your site’s authority and by so doing, increasing your ranking. Aside from the back links you may (or may not) get, guest posting exposes you to a wider audience. When you post on another blog, you are making your content available to a different stream of readers. Once your content is top quality and readers love them, you as the writer will become more widely known and this will in turn give more popularity and weight to your content. Increased exposure will among other things lead to a widening of your network as a blogger or online business person, increased social media presence as people share your post on social media, increased social media following as more people read your post on social media and like them and also follow you etc. It is almost like a domino effect, when one happens the others follow in sequence. At end of the day, your brand becomes widely known and you will become an authority figure and influencer in your chosen niche. Following from the point above, having great content on other sites not only builds your brand but also brings you direct traffic from those sites. Unless your post does not have any link back to your site. You can find a more extensive list of its benefits here. This has to be done right for you to get the right results. Let’s look at a few steps to effectively guest post. There are three possible goals you could be aiming at here. These are: Direct traffic, backlinks or establishing yourself as an authority in your niche. It is important to determine this early as this should determine the types of places you choose to post. For direct traffic or to establish yourself as an authority, you need to post on sites with a lot of traffic. If your goal is to get back links, then you may not be as concerned with traffic as you will be of domain authority. These are just a few examples. Where you post your content to is very important. The niche should be right as should be the site. This is because your content will basically be useless on some sites and some sites won’t add real value to you. Here’s a simple way to go about it. Find experts in your niche who guest post and search for where they publish their posts. Use the phrase “guest post by” and the person’s name to search. This should show you some great sites you can send your posts to. This is a very important aspect of the process. You need to create great content because your content is not likely to be accepted if it is not top quality or at least good enough. Secondly, the quality of your post will also determine how much impact it will make. Still Not Sure How to Go About it? It’s possible that everything we have spoken about may still be a bit confusing to you. You may also be wondering when you will find the time to do these. Thankfully, there is another way to handle these postings. There are companies like Quality Guest Posts that will help you create quality guest posts in seo. They will even go further to publish these posts on selected blogs for maximum effect. This is a great option for quick results especially if you do not have the time to handle the entire guest blogging process. Remember that when this is done right, it adds serious value to your brand and your site. Finding blog post ideas is a hard task. Meanwhile, it is the most crucial one. There are plenty of articles over the blog that crunches about getting blog post content ideas. But, all such fail to talk about the content ideas that get you backlinks. Here, I am going to share a few ways to find blog post ideas that attract backlinks. Analyzing your competitor backlinks and getting ideas for your blog posts would be an effective way. Similarly, there are loads of ways. Before that, let us have a brief discussion about the types of content that grabs most user attention and backlinks. How you are presenting your content is much important as what you are writing. Depending on the content type and the media format you include, the reach will be varying. You might notice a few articles will be more popular among social networks. But, that won’t get you backlinks. Few may not get more shares but attract more backlinks. Before creating content, you must stick on to your goal. Being said that, building backlinks is one of the significant goals of content. Below are the blog post content types that can get you more backlinks. Backlinks to a particular post not only boosts its ranking. It can bring up the ranking of all other posts too. And, you can drive massive organic traffic with better rankings. Analyses are resulting in that list types of posts are the most shareable. The key factor for list type of posts being popular is; it is easily scannable. Probably the listed items will be as subheaders. People will promptly run through the entire items even they didn’t read it completely. 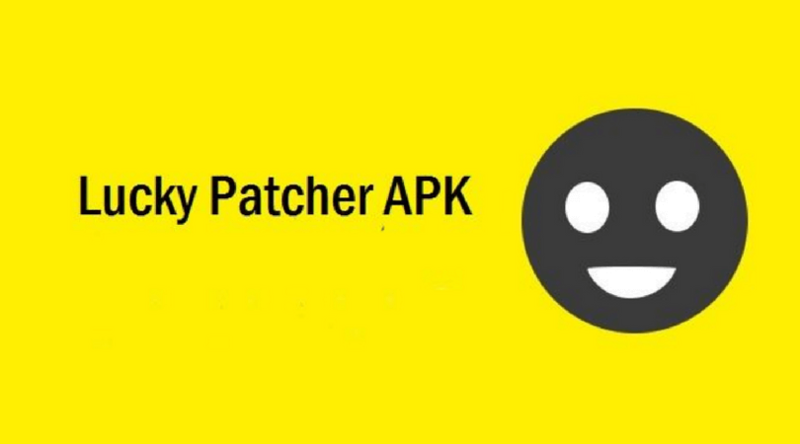 Generally, the guiding posts and tutorials answering user’s ‘how-to’, ‘why’, ‘what’ will grab much attention. Indeed, if you guide is an ultimate one; then this will attract huge backlinks. But, your guide must be wrapping everything on the topic you are writing. Whenever people are discussing that topic in forums or anywhere over the web, they will intend to link to your guide. Referring to the below image, it’s about Neil’s beginner’s guide to internet marketing. Infographics are good to depict any type of message. Through which you could precisely present statistical data or break down a topic into elements. These embed media formats will take your content viral among the online users. Fortunately, if your infographics content is of high quality, then it is going to rock. Researching data to produce infographics can take time. Still, it is worth. Anyways, you have to spend thousands of dollars to create such infographics content, but you can get significant ROI. It can either be the backlinks, organic traffic, content promotion, social shares or anything. The most common content types that get the most popular among people would be discussions. It includes surveys, case studies, etc. If you are into marketing your product or service, create a case study content. It must cover the unique strategies or features you implemented, from start to finish. Make it as a document and roll it around your target audience. But, the case study content must be genuine and claims real data. In addition to that, interview posts and expert roundup posts can also get you credibility and attracts more backlinks. 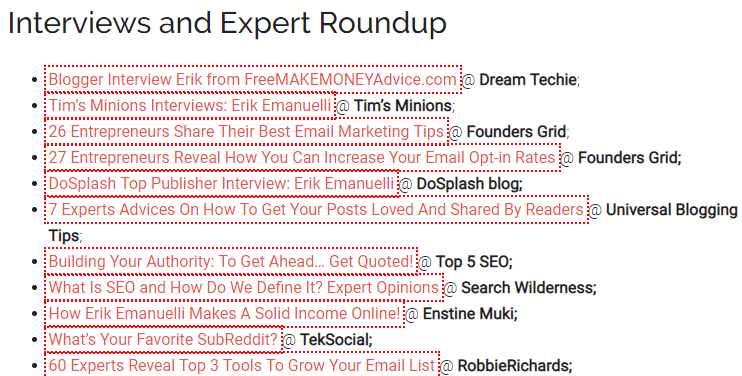 In expert roundup posts, you are accumulating multiple experts in a single place. Obviously, the participating experts by themselves will promote your content and get you tons of backlinks. Further, let’s get into the ways to find such backlinks attracting blog post content ideas. The blog content must serve its best to the search engines as well as the users. These content ideas will not only attract backlinks but can also drive huge organic traffic to your entire blog posts. Every high-quality article you are publishing in your blog has an ability to boosts your other blog posts too. Internal linking has its vital role in passing link juices among these posts to build authority. However, there are infinite numbers of resources available to generate blog post content ideas. Among which, I am going to share very few that are easy and actionable. Among all the discussion platforms, Quora is gaining popularity among people. Quora would be ideas mining place where you can get ideas on any topic. Moreover, you can also understand the topic that is curious among the public. Feeding the needy would be the best-ever actionable strategy that gets you success. You can use Quora to know your target audience curiosity, need, and behavior. For an instant, refer to the below image. While searching the topic ‘SEO Trends’, you could notice the topic trendiness from the ‘Questions Stats’, and the number of answers marked. 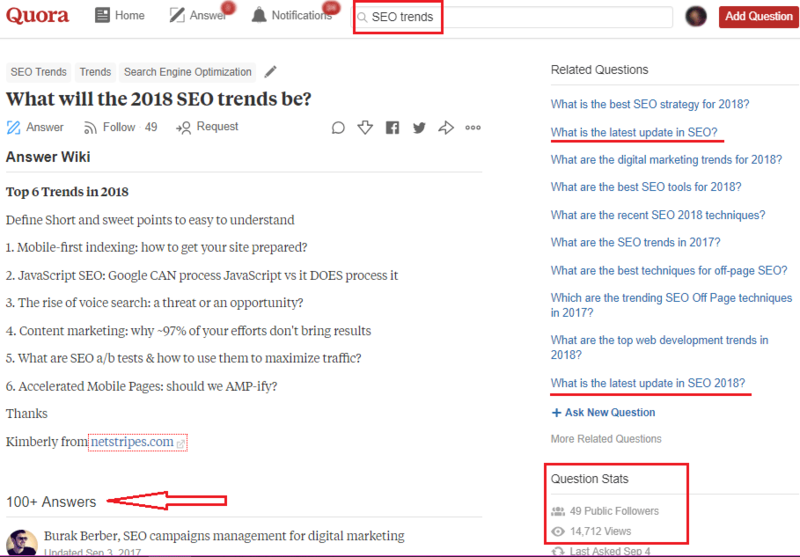 Moreover, the related question section can get you more suggestions on the same topic to write in your next blog posts. Similarly, there are thousands of forums and discussion platforms are available. But, I would prefer exploring Quora for its user engagements. Google would be the typical place where people can find or get whatever they want. Then why not Google or any other search engine can help you with awesome blog posts content ideas? In the Earlier section, we have seen the types of blog posts content that attract backlinks. From the search engines results page, you can get ideas to come up with any of such content types. You may use queries as below to find blog post content ideas for different types of blog content. Exploring ideas from various blogs can get your enormous thoughts to have your skyrocketing posts. Conducting interviews and roundups can get you immense insights about a topic. As well as, read top influencer’s interviews and roundup contributions on a regular basis. Interviewing top influencers in your niche can drive you massive organic traffic. Also, it gets you a decent volume of backlinks and social mentions. There are bloggers who include those interviews in their portfolio. From which you can gain backlinks on authority sites. Particularly, expert roundup posts can offer the same. Also, you can roll out polls or surveys or direct questions through email newsletter asking what your audiences are expecting from your next blog post. You can get an infinite number of ideas. Particularly, these are the potential insights from your target users. You may use top content marketing and SEO tools like Ahrefs, BuzzSumo, SEMRush, etc. to research on the topic which you want to write about. Using such tools, you can analyze the related topic’s performance over social platforms and target audiences. How people are curious about your topic? What works well? Depending on the analysis results, you can curate the ideas to present your blog posts. Also, you may refer to the old blog posts that perform well at that time. Study more about the topic and understand its current market standard. You may now write blog post content on that topic with the latest information and data. Undoubtedly, this will grab more users’ attention and get you the most backlinks. I am sure that I have missed out many informative resources to generate blog post content ideas. 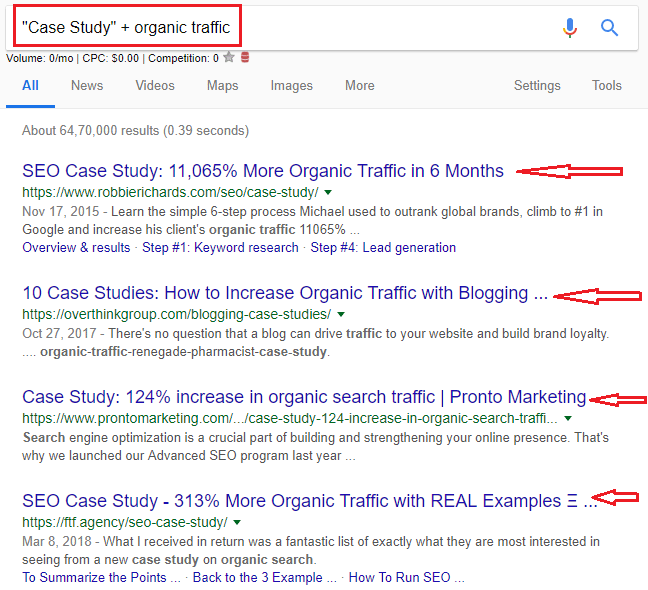 But these few I have shared here are the effective ways to find blog post ideas that attract backlinks and user attention. I would suggest you maintain a file where you can keep adding your inspirations and ideas whenever you come across. While drafting new blog posts, you can refer to it. Ultimately, every webmaster wants to offer quality content to its readers. Obviously, such high-quality content can only get you the backlinks. No one would be ready to provide backlinks if your content means nothing to their readers.